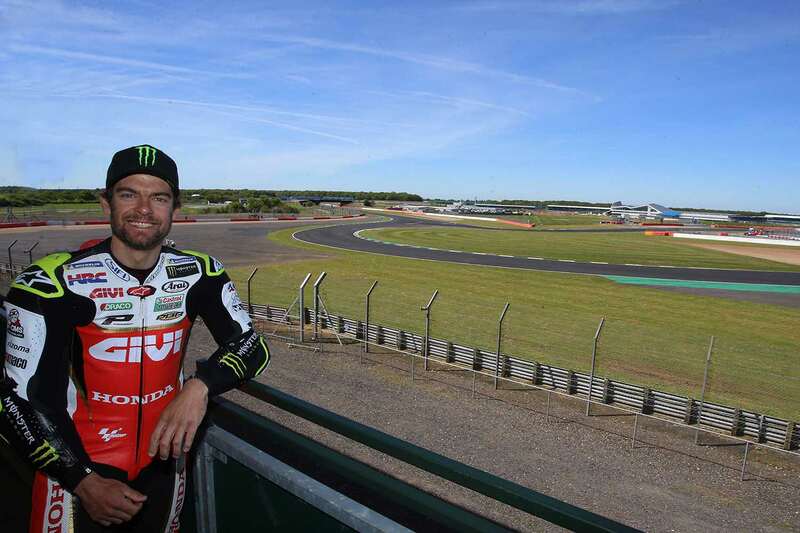 MotoGP returns to Silverstone for the GoPro British Grand Prix on August 24-26, and this year there’s a whole new fanstand available dedicated to our British riders, as well as five more supporting Ducati, Suzuki, Aprilia, Marc Marquez and Valentino Rossi. 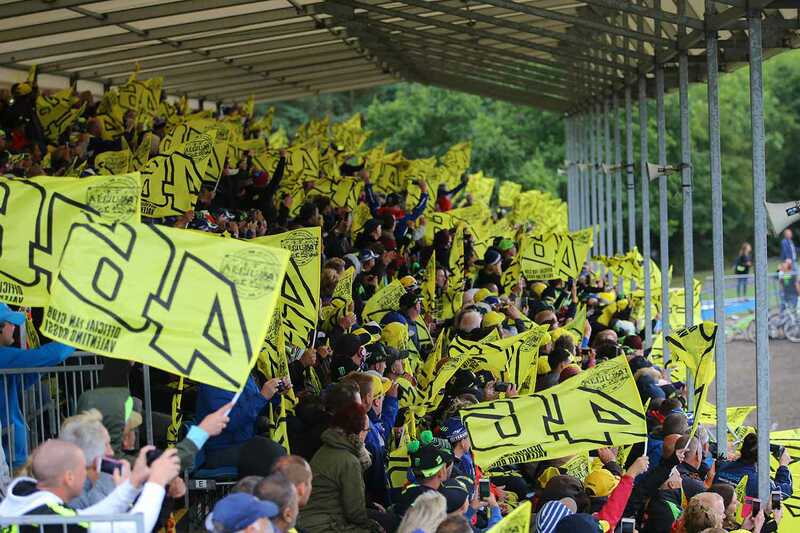 Always the first to sell out, the Valentino Rossi fanstands are located at Copse B and C, with the Suzuki fanstand supporting Andrea Iannone and Alex Rins occupying the Copse A grandstand. The Marc Marquez stand can be found over at the Village complex, taking up the whole of Village B, flanked by the Aprilia fanstand taking over Village A. If title hope Andrea Dovizioso or a rejuvenated Jorge Lorenzo better suit your allegiances, then you should grab a seat in the Ducati fanstand, located at Luffield. All of the fanstands put you right in the best hot-spots for serious action, but one of the very best places to watch on the entire circuit is from the new Go Brits! fanstand, which you’ll find located at Becketts. 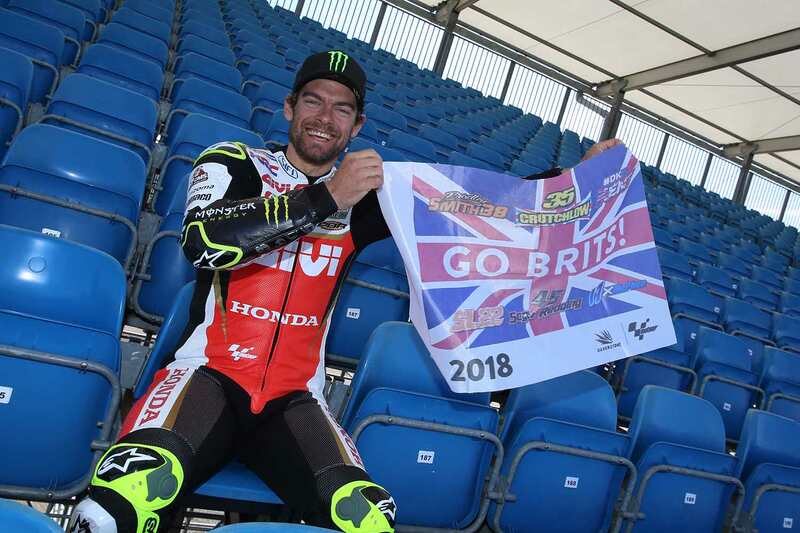 With Cal Crutchlow showing some impressive form in 2018, Bradley Smith fighting hard on the KTM, Scott Redding battling on his Aprilia, Sam Lowes and Danny Kent fighting it out in Moto2, and John McPhee in Moto3, there’s a wealth of Brit talent to cheer for. The deal for a weekend ticket includes a roving grandstand ticket for Friday and Saturday, and a seat at Becketts for race day, and a parking pass for the special discounted price of just £105. Don’t delay though, once the Go Brits! fanstand is full, you’ll have to find a seat elsewhere. And all the fanstands will start filling fast as the Bank Holiday race weekend edges closer. Book now, it promised to be an unmissable race. Get your tickets at: http://www.silverstone.co.uk/events/2018-british-grand-prix-motogp/ or call: 0844 3750 740, and don’t forget to quote code MCN18GOLD when booking.